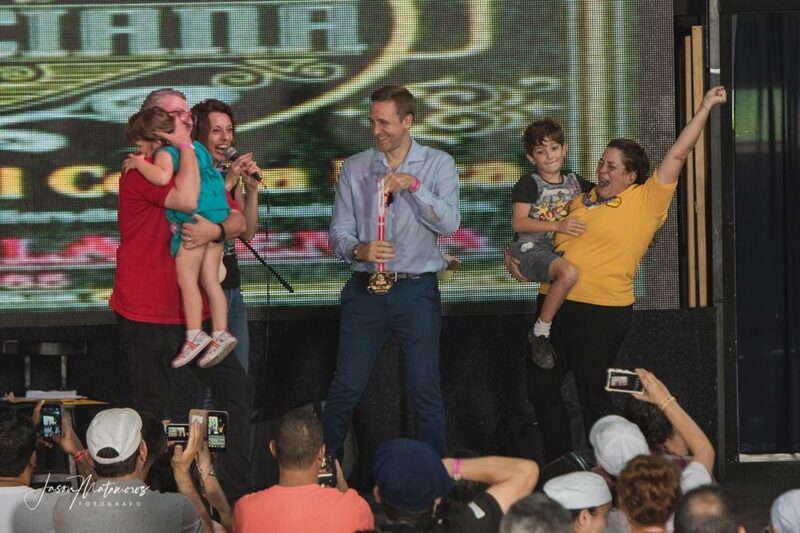 After the success of 2017, for the second year in a row, the exotic Costa Rica has hosted one of the semi-finals of the Sueca’s International Paella Valenciana Contest. The event, which faces the final round of its 58th edition, proved this weekend that has been consolidated in just two editions as a Mediterranean gastronomic festival, now declared of tourist interest. The semifinal organized by the Restaurant “La Lluna of Valencia”, took place this Saturday, July 28, at La Rumba de San Antonio de Belén (Costa Rica). The international jury “Spoon” has chosen as Best Valencian Paella of Costa Rica in 2018 the one prepared by the chef Josep Pasqual Martorell of Don Pascualón – paellas at home in Costa Rica – followed by the one cooked by Norlan Antonio Pavón, of Real Intercontinental San José Costa Delicious; and the one prepared by Martha Rebeca Salazar, of the Culinay Trainer School. The paella master Jesus Melero, again, discovered the best kept secrets of the preparation of the plate to the participants in the semi-finals. Attendees could taste paella and other dishes and drinks Spanish’ typical cuisine. The party became a crowded event where there was no lack of good food, nor live music. Melero also participated in the media tour of some of the country’s main television channels, along with the host chef, Toni Montoliu. Once again, the paella of the International Contest gets everyone’s attention wherever it happens. After a good part of the international semifinals already held, the organization begins to complete the selection of the participants who will compete in Sueca, on September 16th, for the Best Paella of the World 2018′ title. Beyond the winners of the international semifinals that have achieved the direct pass to the final, the representatives of the International Contest, committed to involving the local community of Sueca in this prestigious event, have recently met with representatives of the local catering sector to define their participation in the next edition of the Contest. Ca Agustí, Restaurant Llopis and Restaurant London (drawn by lot) will be the three local establishments that will face the rest of the participants, in the emblematic Paseo de la Estación de Sueca (Valencia), Spain.